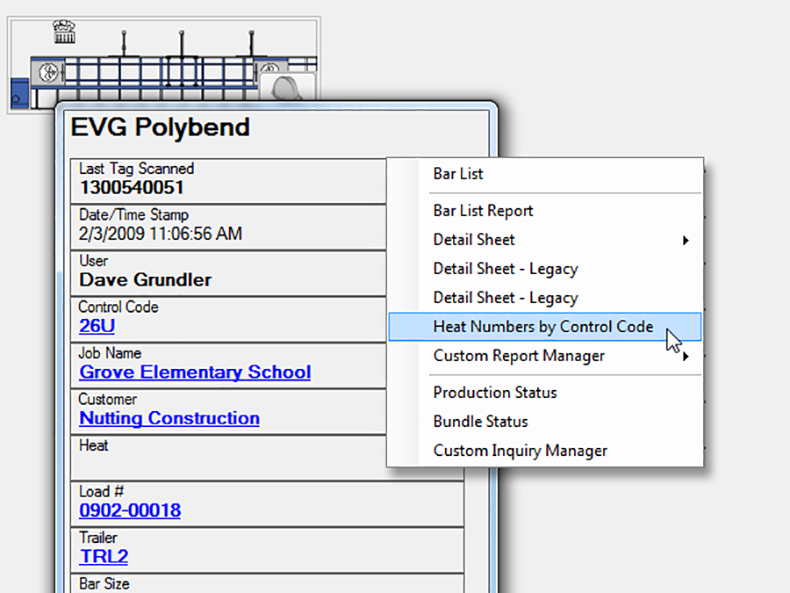 aSa Plant Manager gives you instant access to real-time and historical fabrication information via a virtual shop interface on your computer screen. What could be easier than clicking on a picture? 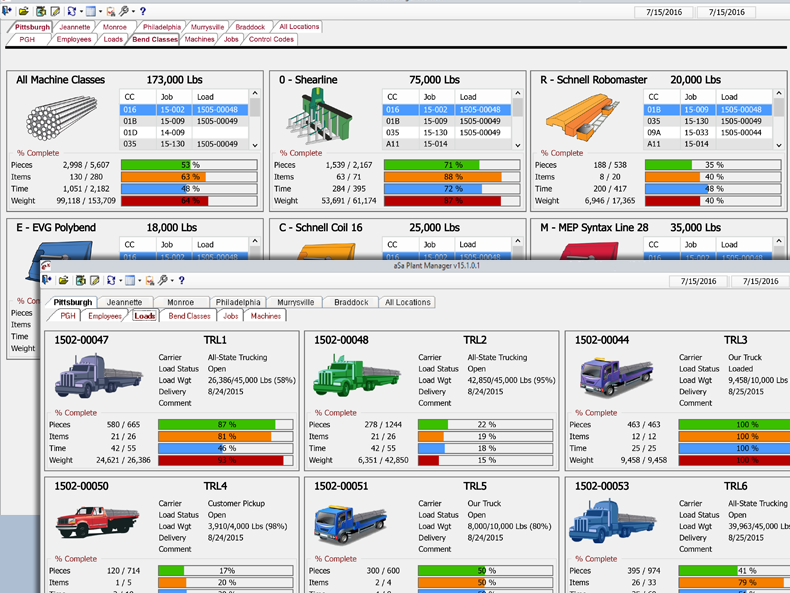 Your virtual plant tells you what’s going on at each machine, bin, and trailer in your real plant. 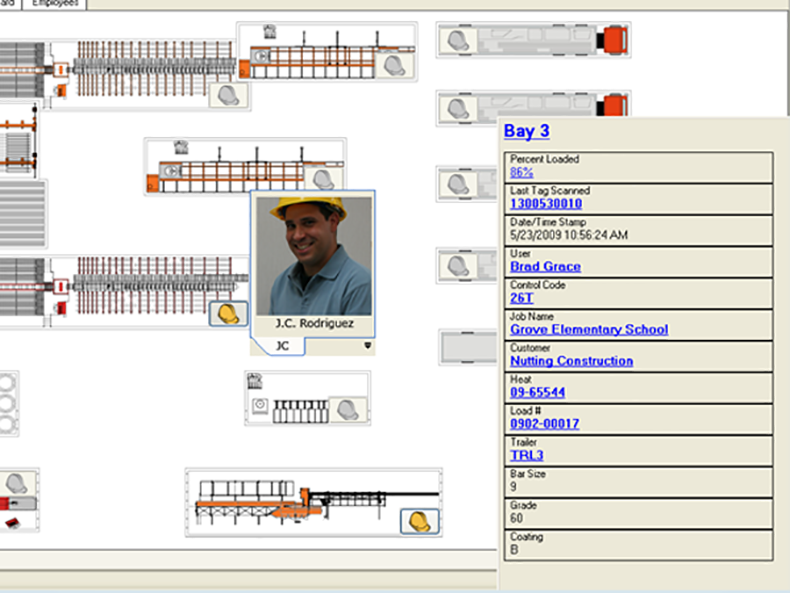 Plant Manager provides a single launch point for viewing data, opening programs, and generating reports. Want to know if a truck is ready to deliver steel? Plant Manager displays “percentage loaded” information and also shows which bundles have been loaded and which remain. 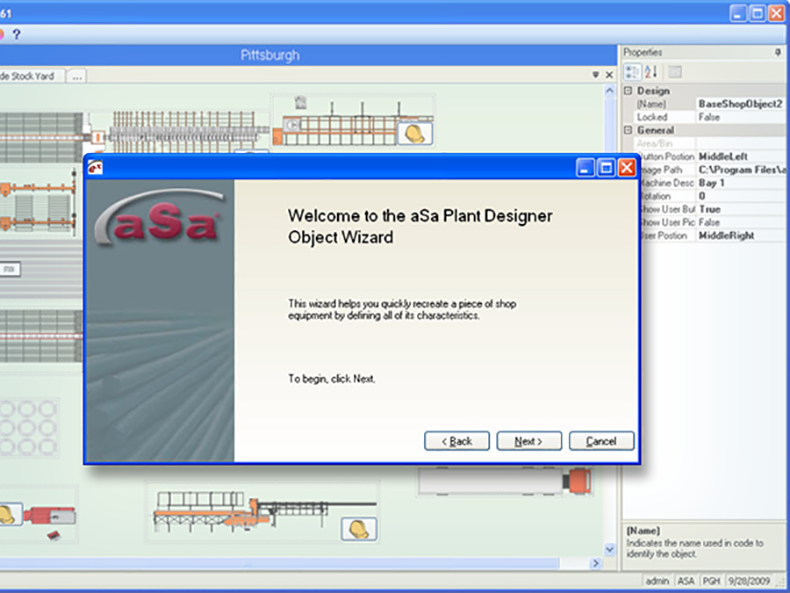 aSa Plant Manager gives you instant access to real-time and historical fabrication information via a virtual shop interface on your computer screen. aSa Plant Manager is an on-screen “picture” of your fabricating plant that you use like a graphic menu. Design the on-screen plant to look like your real one, complete with pictures of your equipment and employees. Then, simply hover your mouse cursor over a bin, machine, or trailer to get an at-a-glance view of fabrication as it happens. Drill down to view inquiries, print reports, and launch applications without ever leaving your virtual shop. (The people at aSa) are committed to serving their customers. Scroll through the screens below to explore just a few of the many benefits of aSa Load Tracking. Create a virtual shop interface that looks like your real one. Get real-time status updates by hovering over a bin, machine, or trailer. 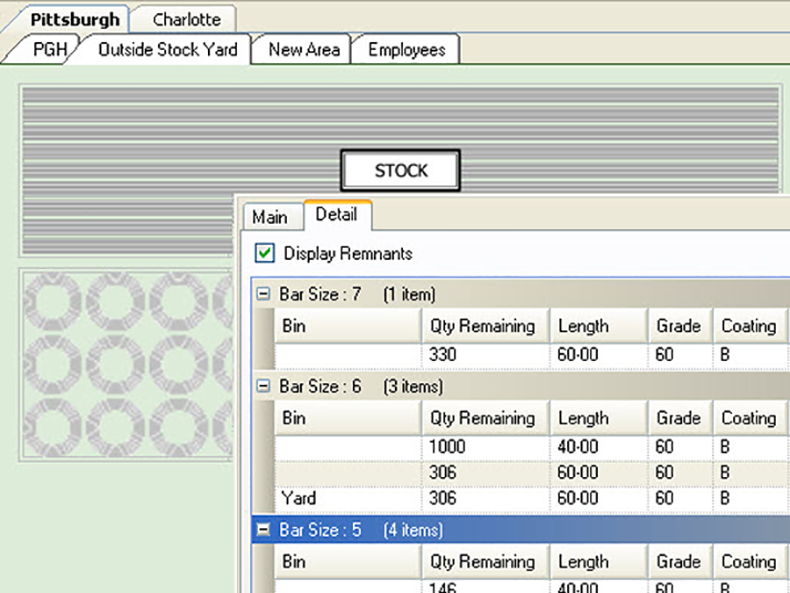 Manage multiple locations, plants, and stock yards from a single screen. Get graphical summaries of your fabrication and loads in progress. Launch programs, reports, and inquiries directly from plant manager.